Smart Allergy Friendly Education: Winners of the Rudi's Gluten-Free Bakery Back to School Giveaway - drumroll! 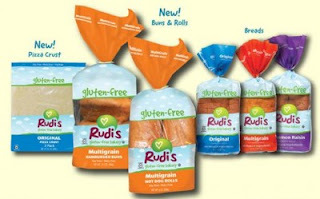 Winners of the Rudi's Gluten-Free Bakery Back to School Giveaway - drumroll! On behalf of Smart Allergy~Friendly Education and Rudi's Gluten-Free Bakery, THANKS to those who participated in the Back to School Giveaway sponsored by Rudi's Gluten Free Bakery. I only had a few readers so comment... three to be exact... so one of you has one twice! I used Random.com to ensure the 'randomness' of the drawing!! Winner of BOTH a FREE sandwich box and a FREE loaf coupon - Danielle Bryant!! This information along with emails will be sent to my contact at Rudi's Gluten-Free Bakery and either myself or she will be in contact with you very soon! Thanks for taking the time to post and I hope you enjoy your prizes! !